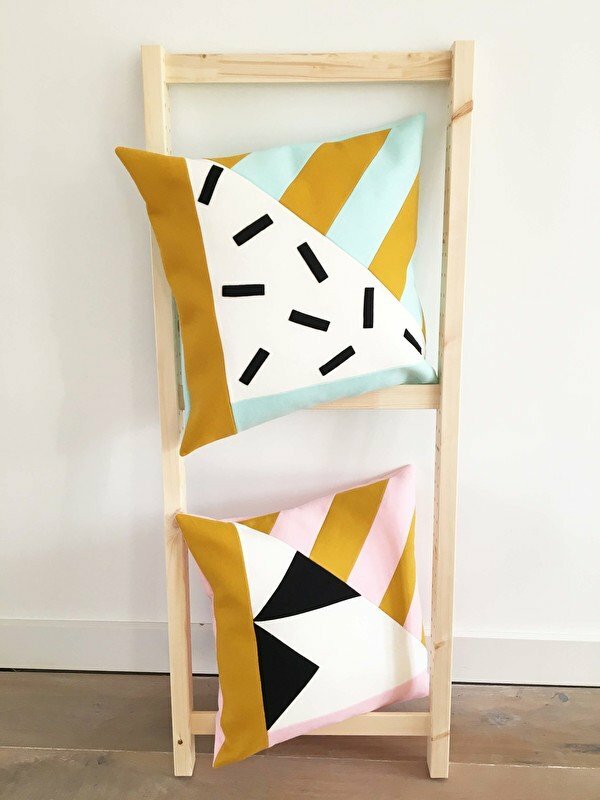 If you enjoy a touch of fun and whimsy at home then you’ll love today’s feature on designer Mirelle of How About Frankie boutique pillow company. 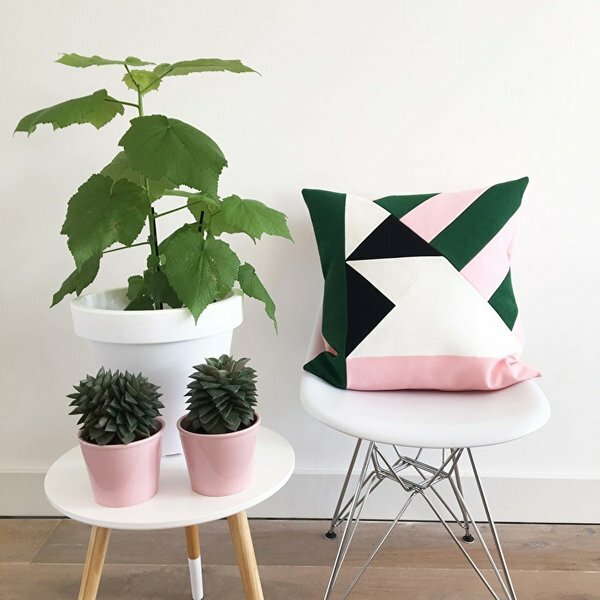 How About Frankie, which is based in the Netherlands, sells high quality, wool felt pillows in bright and cheerful colors. Learn more about this great brand below. 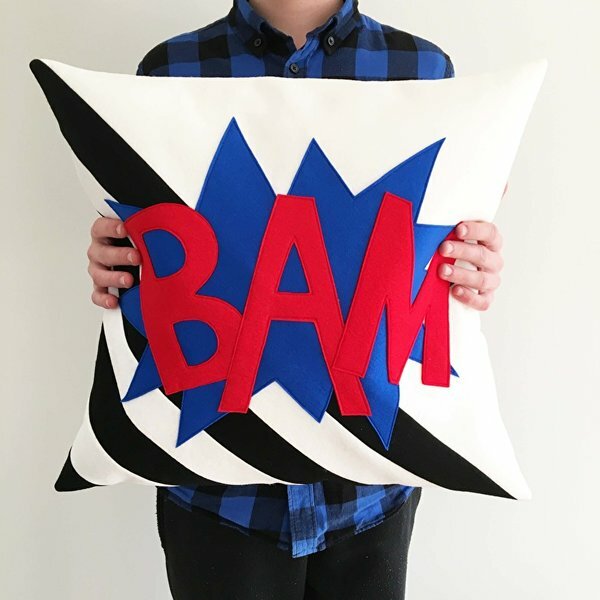 Jacquin: What inspired you to start your pillow design business, How About Frankie? 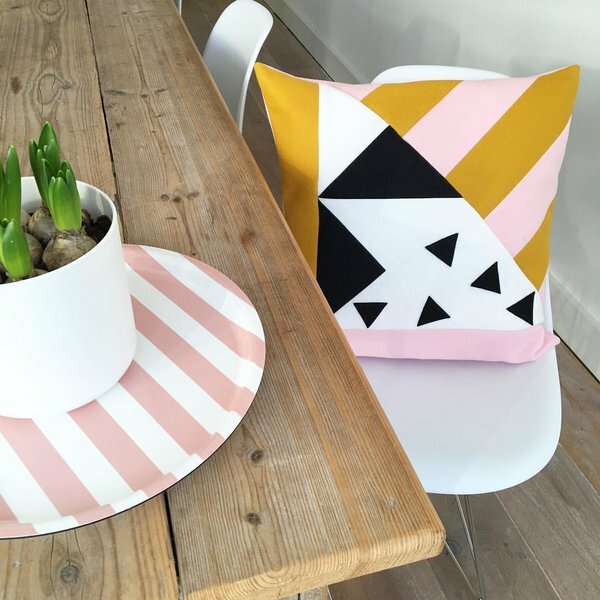 Mirelle: I like to keep busy by redecorating my interiors and for some years I the desired to launch my own design business. 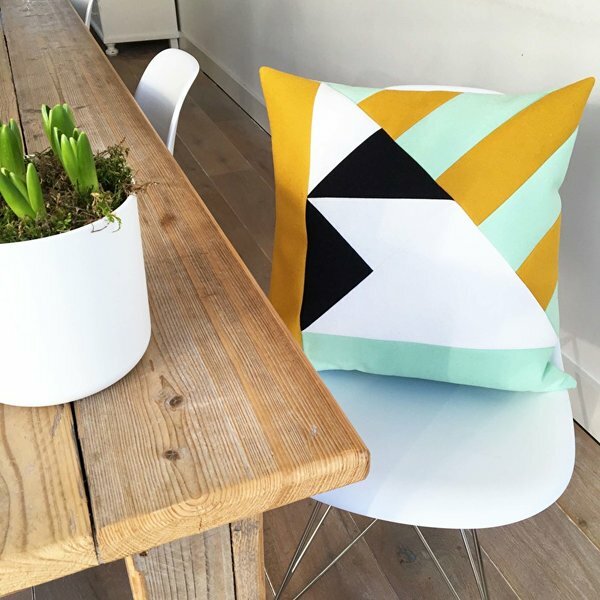 With a pillow you can quickly transform your interiors to achieve a new look, that’s why I chose to start with making throw pillows. Jacquin: What is your earliest memory of creating something you really love by hand? Mirelle: I think it was when I was about 6 years old when I received a kit to build my own DIY doll. When I finished I felt wonderful, realizing that the ideas in my head could be made with my hands. 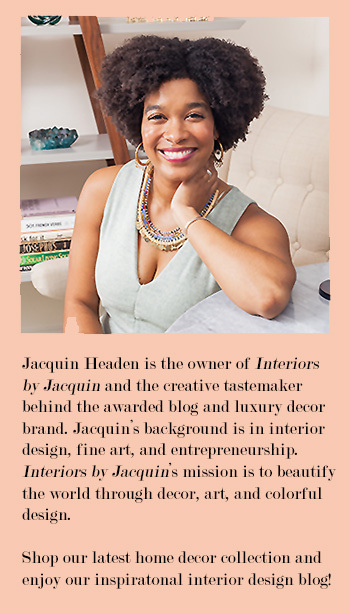 Jacquin: How does life in the Netherlands influence your designs or inspire you? Mirelle: Actually, I’m not specifically a Dutchman in regards to my design, but a citizen of the world. 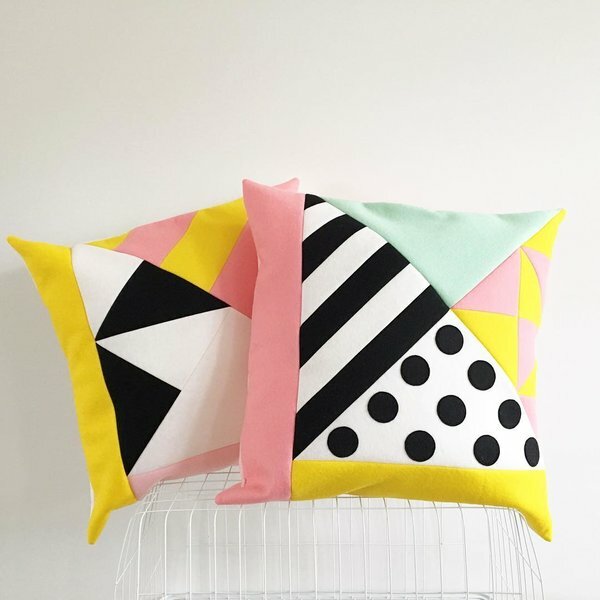 The influences that you see in my pillow designs are a combination of Memphis and Pop Art. Jacquin: What are some of the differences between 100% wool felt and the varieties often found at the craft store? 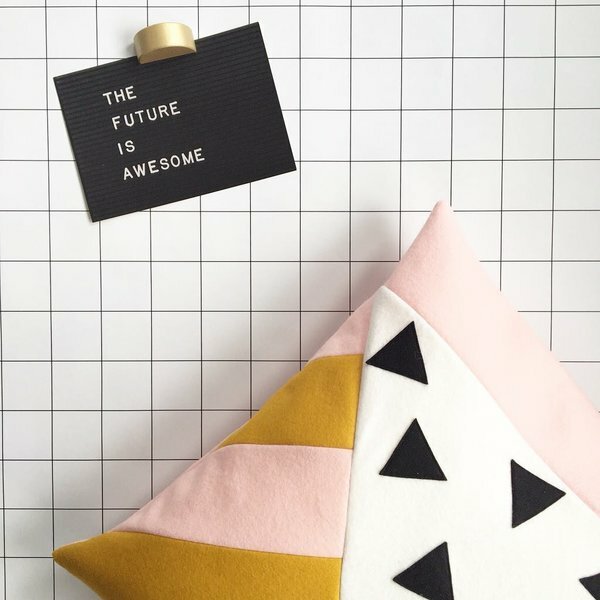 Mirelle: Wool felt is made of pure, new wool from either European or South American sheep breeds and is a natural material, fully sustainable and of the highest quality. Wool felt is safe for children, in addition to being flame resistant. 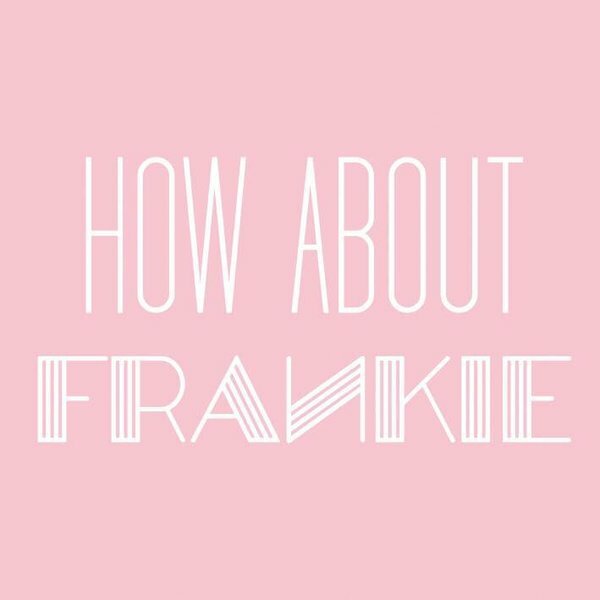 Jacquin: I learned that you operated another business of your own for over a decade before launching How About Frankie? What lessons and experiences from your former business have been helpful in building How About Frankie? Mirelle: I have learned to listen to my heart and to only design products which I fully support, because I believe that love and passion is palpable in a product, especially hand-made products. Visit the How About Frankie website to see more of Mirelle’s unique designs.